World Class Food & Service. Great Cocktails, Seafood & USDA Prime Steaks. Sly’s in Carpinteria. A great restaurant. In Carpinteria? We do food right at Sly’s. Service and cocktails, too. 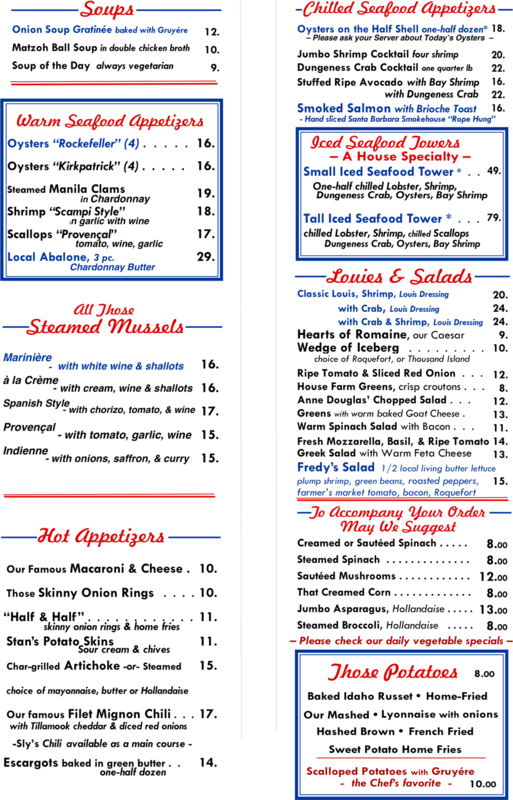 Whether you want a simple, great hamburger, (freshly ground beef), linguini with clams or the best Crab Louis Salad south of San Francisco, you’ll get it at Sly’s. 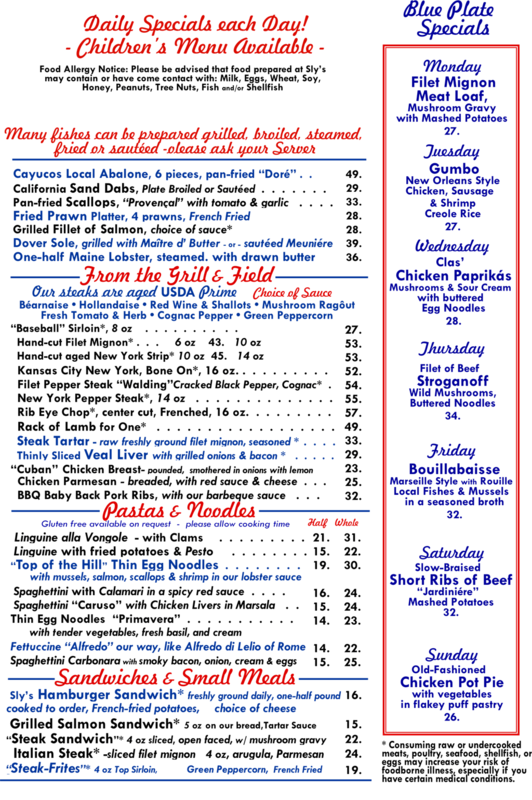 Don’t forget our daily specials, and Blue Plate Specials, too. You’ll get a great dinner, with a large, traditional menu, and attentive service. Full Bar, classic cocktails, and an extensive list of Californian and French wines, by the bottle and by the glass. Abalone for dinner? Where would you get it but Sly’s? We only prepare so many Blue Plate Specials. Once we’re out, we’re out! Split or shared plate charge $5. • Additional sauces $3. • Sorry, we do not take personal checks.